Green State editorial illustration for the 2018 California Legal Cannabis Launch article. 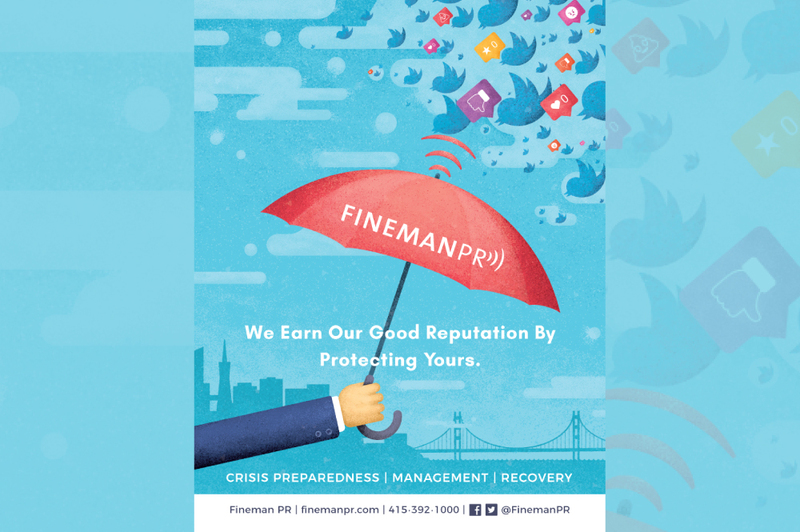 Magazine print advertisement for Fineman PR- specialty is crisis public relations. 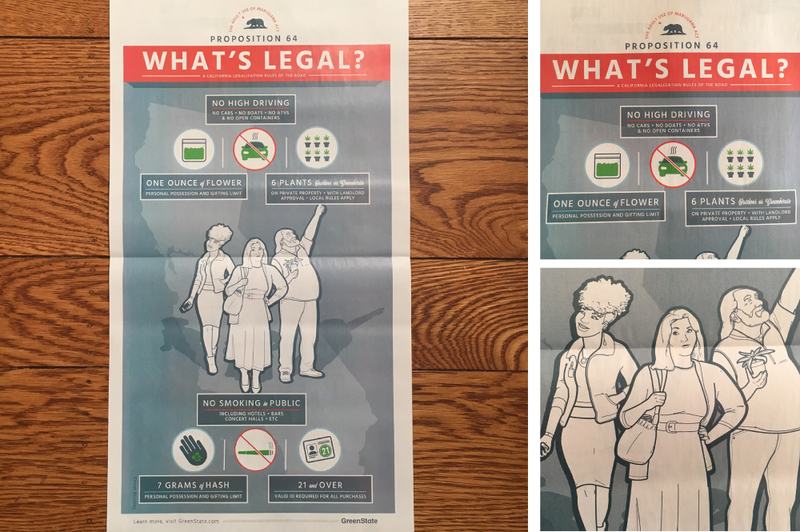 Double truck explanatory poster on California's new marijuana rules. The feature commemorates the end of prohibition in California in the Green State's Cannabis Awards 2018 issue (San Francisco Chronicle Sunday paper). Buy the poster here. Social Media Campaigns and Winning Strategies event workshop mailer for Dale Scott and Company. Casino Royale's Facebook video featuring on site restaurants, slogans and deals. Invitation for HealthRIGHT 360's annual Be The Change fundraising breakfast. Logo design for Financial Residency, a financial planning podcast geared towards young physicians. Copyrighting and design concepts for new advertising tone for Casino Royale's LED sign.